Almost everyone has a digital camera – at least a “point and shoot” compact camera or a camera phone. When I got my first Olympus 1.3 MP camera in 1999, not very many people had them. I immediately saw the benefits and have been keeping current with the latest developments. Even the entry level cameras today are amazing compared with the most advanced digital cameras of a few years ago. High quality professional level DSLR's are now affordably priced for most serious hobbyists. How has this impacted photography? Digital makes it faster for good photographers to become much better photographers. Simply by reviewing the photos on the LCD screen, you get instant feedback. You don't need to know a lot of technical stuff to get great photos. Trial and error is easy. You can take lots of shots without the additional expense of film and developing. As long as you have enough memory and battery power, you can shoot hundreds of shots (or thousands!) in a day. Digital photos are easy to share. You can share film too by having it scanned, but most people are not going to spend the time and money to scan their old photos. I was inspired by Flickr, a website with huge numbers of photos and tons of useful information. The photography on Flickr, from both pros and amateurs, is amazing. Flickr, photography blogs, and other photography sites are great resources that help enthusiastic photographers improve their skills. By participating in online communities, photographers can get great feedback, finding what people like or don't like. The combination of digital cameras and online resources have increased the popularity of photography - it is now more popular than ever before. And now you have great tools to improve your results. The overall quality of photography has increased in the last 10 years due to digital photography. Professional photographers are feeling the impact. People and businesses may choose to do the photography themselves with their new high quality digital cameras. Or, they can hire a part-time photographer who can do a quality job, but charges very little or nothing. Why pay for a pro when you can get good results for less cost? There's pressure on professionals to reduce prices to compete. Another option for pros is to compete on other factors than price - quality, customer service, creativity and other value-added services. The bar has been raised and people now expect more from a pro photographer than ever before. As a freelance photographer, my goal is to be the best I can be. I'm comparing myself to the best photographers in the world, today and in the past, and I'm aiming to be in the same category. I know I have a long way to go! The best photographers have created images that I love and would be thrilled to have done myself. When a client hires me, it's because of my photographic style, vision and knowledge - not the camera that I use, which is not very important. In the book "Outliers: The Story of Success," author Michael Gladwell identifies factors contributing to high achievement and success. One of the factors is "The 10,000 hour rule" - it generally takes about 10,000 hours of training, practice and hands-on work in any profession to become great at it. That works out to around 5 years working full time. That's how long it takes to master a subject and become world class. And it's one of the reasons I love to shoot as much as possible. I also take courses, read and try new techniques. I want to get to 10,000 hours! The technical challenges for a photographer are enough for a lifetime of learning. The creative challenges are even greater! New technologies have opened up new possibilities for photographers who are willing to pursue them. The role of the professional photographer has not changed too much, but it's now more important for photographers to market themselves to demonstrate the value that they provide. It takes a lot more than a good camera and Photoshop. In-depth technical knowledge of lighting and cameras is important, but when it's combined with great people skills, creativity, passion and vision, the photographer becomes a rare resource who is valued for their unique style. Will the demand for professional photographers decrease in the future? It is very likely that it will. More people will be doing good work for a low price, driving out the professionals from the lower end of the photography market. Magazines, one of the traditional markets for freelance photographers, are reducing their budgets as fewer people subscribe and access online information, most of it for free. There will be more demand for photography for online use instead of print, and much of this can be sourced from amateur photographers or stock agencies. People will still pay for high quality prints, which will support the market for some photographers, for example fine art, wedding and commercial photographers. And the best photographers will always be in demand. The challenges for photographers in adapting to digital are not much different than those facing people in other fields. Music and movies are a couple examples. The old business models need to change. In the allegorical book Who Moved My Cheese? by Spencer Johnson, the characters are mice in a maze who suddenly find that the cheese is not in the same place as it used to be. They need to change and adapt if they want to find more cheese. Going back to the same spot is not going to work! I'm excited by the challenges, the opportunities and rewards. I want to be the best, and appreciate having the opportunity to pursue it with a passion! Almost everyone has a digital camera - at least a "point and shoot" compact camera or a camera phone. When I got my first Olympus 1.3 MP camera in 1999, not very many people had them. I immediately saw the benefits and have been keeping current with the latest developments. Even the entry level cameras today are amazing compared with the most advanced digital cameras of a few years ago. High quality professional level DSLR's are now affordably priced for most serious hobbyists. How has this impacted photography? Makeup Artist and Hairstylist: Isha Paneswar. 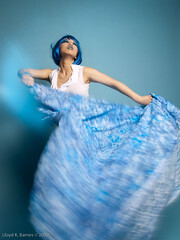 Fashion Stylist: Gurjit Parmar. Photography: Lloyd Barnes. 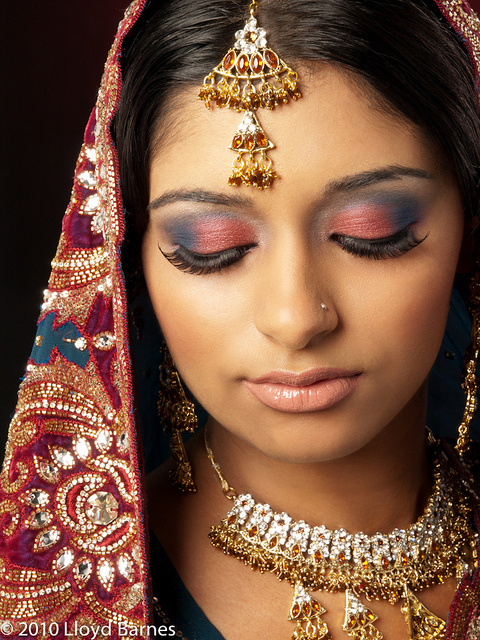 Here are some photos and a short music video with an East Indian bridal theme. The model, tadalafil makeup artist/hairstylist and fashion stylist were awesome!